The majority of college recruiting in the United States is focused on urban and suburban high schools. On the surface, given that approximately 80% of the U.S. population resides in metropolitan regions, it seems a plausible approach. However, the 20% of the rural residents of our state and nation likewise warrant attention from good universities. The argument against rural recruiting is simply that small populations provide little return on recruiting investment. Undeveloped human potential makes for rotten business. And it stinks. Students in small communities have aspirations like their metropolitan brethren. Dwight Eisenhower hailed from Abilene, Kansas, population 3,500. He had aspirations. As supreme commander of the Allied Forces, he helped save the world from a crazed despot. As president of Columbia University, he led a great academic institution addressing challenges of post-war America. As President of the United States, he initiated important projects—the interstate highway system for example—all from Abilene, Kansas. His brother Milton served as president of Kansas State University and helped racially integrate the Big Eight Athletic Conference. As President of Penn State University, he was revered by students, and as President of Johns Hopkins University, the endowment doubled and the operating budget tripled. Not bad for a couple of small town boys. Hicks by some standards. Universities need to find ways to reach out to students from small widely-dispersed communities. Human potential resides there. At West Texas A&M University we have initiated the WT Principal’s Scholars program. This program allows principals from the 66 high schools in the top 26 counties of Texas to identify up to five students who would benefit by attending West Texas A&M University. Those students will be admitted on the word of the principal alone. No forms. No processes. Rather, a principal levying judgement based on experience. A handshake. Application fees will be waived, time-to-admissions decisions based on 12 years of performance will be reduced from weeks to a split second through empirical evidence. Consideration for every available scholarship will be guaranteed. What is lost in metropolitan schools is a personal relationship between teachers, leaders, students and families. 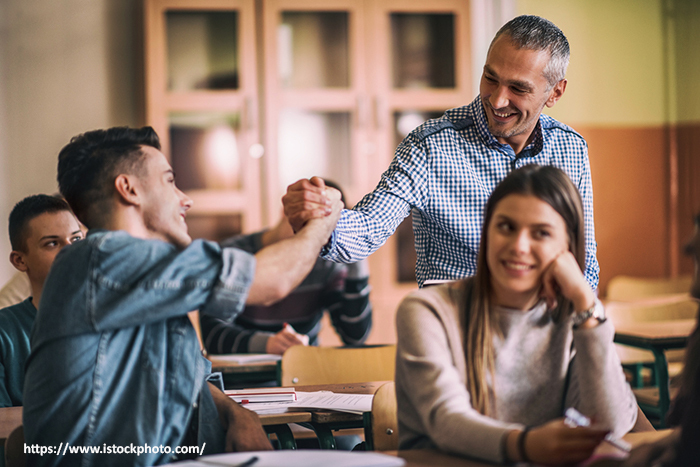 The principals of smaller districts typically know their students, making them appropriately prepared adjudicators of admissions. In the Texas Panhandle, many districts enroll as few as 150 students, PreK-12. Principals and teachers know these students and their families. Additionally, at last count WT provided at last count 71% of the credentialed public educators in the top 26 counties of Texas with at least one degree. We are proud to serve our region. The next closest provider is Texas Tech University, supplying approximately 9% according to Texas Education Agency data. WT knows school personnel, and they know us, which creates a two-way confidence. I visited every high school in the Texas Panhandle—all 66. Talking with students, teachers, principals, superintendents, board members, parents and business leaders was an eye-opening experience. There is a pragmatic clear headedness about things in West Texas. Maybe it’s the altitude, the ever-present wind or the flatness of the land that creates the grit required to survive on these High Plains. Or, possibly, the neighborliness in response to the challenges of nature or the distance from seats of government removed culturally and intellectually from the purpose and power of small communities; whatever the forces, there is a sense of community—being part of something larger than self. One superintendent I visited with had been in the home of every student in his district. This ministerial bond is commanding. Panhandle life gives access to special insights that go beyond GPAs, standardized test scores and class rank. I met a woman whose daughter was in the bottom half of her graduating class, initially denied admission to a university because of her class rank. Her twin sister was the valedictorian and in the top half of her class. This is not a riddle, but a rare reality. Rubrics, processes and bureaucracies can be fooled. Try fooling Panhandle people. The breaking news of high-profile admissions bribery cases demonstrates exactly why this program will work. The people are known. The community is known. The University is known. And, across the board, the intention to serve and contribute is known. For our closeness to each other in spite of wide-open distances, the expectation of propriety increases rather than decreases. Everybody has skin in the game. We trust the principals and teachers of the Texas Panhandle to be able to identify students who will benefit by attending West Texas A&M University. Calcified bureaucracies created the problems that led to the admissions’ skullduggery. We need human principles, passion and purposes at work in our institutions, and we want to capitalize on those traits to the fullest extent possible for the benefit of Panhandle people and communities—on handshakes. This entry was posted in Campus, Community Colleges, Faculty, Government, Leadership, Service by wendler. Bookmark the permalink. The WT Principal’s Scholars program is not only a wonderful departure from our bureaucratic world, but is a breath of fresh air to an increasingly divided and inward looking society. Thank you Dr Wendler for taking WTAMU to the communities, instead of waiting for and hoping the students would come to Canyon.